STYLE POST | CHECK MATE. 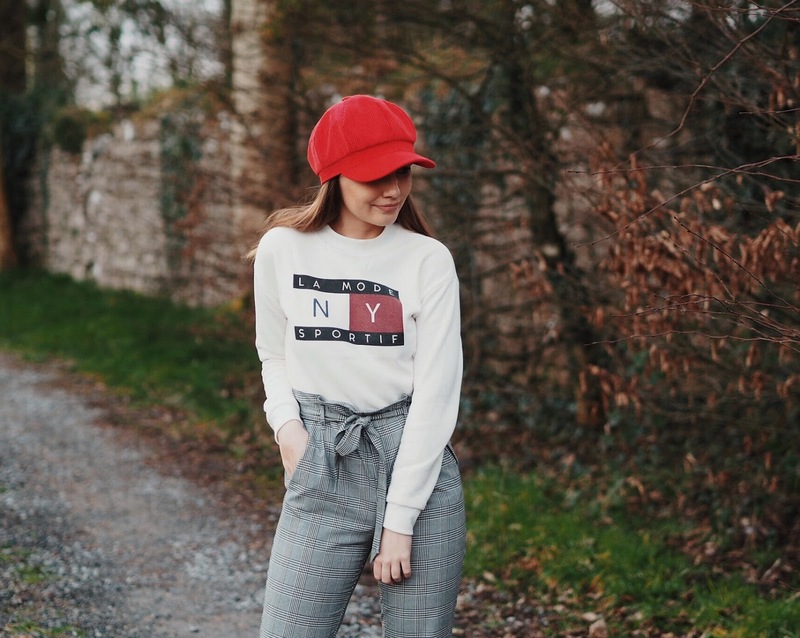 If you read My 2018 Plans blogpost you may know that one of those plans was to shop smarter and I'm actually proud I've stuck to it so far (yes, I know January isn't even over yet). I used to not think and just buy clothing but again I think this outfit contains elements that can be worn time and time again through multiple outfits so what I'm gunna do in this post is talk through this outfit. 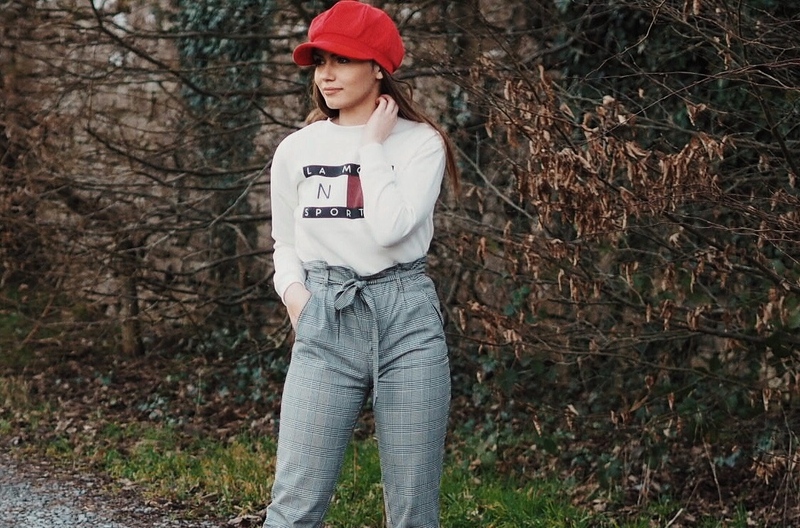 I first saw this jumper on my fab gal Cloda (orangeobviously) and knew I immediately had to get it as it screams Tommy Hilfiger vibes and the absolute best part is it's from Penneys and is only 6 bleedin' euro. The quality is pretty damn decent for €6 and it can be worn casually or styled up so if that isn't value for money I don't know what is! This jumper definitely falls into my shop smarter rule if I do say so myself. Do you see the Tommy resemblance too? I picked up these pants in Zara last weekend after meaning to get a pair of checked pants ever since they started appearing everywhere, I love how there are so many fab pants options in the shops rather than just jeans all the time now. Don't get me wrong, I will always love jeans but I do also enjoy mixing it up lately as I used to just live in jeans! Again these can be worn with multiple outfits so you're definitely gunna get bang for your buck with a pair of checked pants in my opinion. Lastly, but certainly not least are my beautiful booties. I have gotten so so so so much wear out of these boots since getting them. To be honest when getting them, I didn't think I'd wear them as much as I have done, as I thought with them being quite a statement boot they may not go with everything even though they are black & white, but that's certainly not the case, I rarely take them off. I have gotten a ridiculous amount of compliments on these beauties and I'm actually obsessed with them, so much so that I'm highly considering buying another identical pair incase these ever get wrecked. 10//10, would recommend to a friend. A NIGHT IN LIMERICK CITY.